Gordon Thorne is a visual artist. He is the Director of A.P.E. which he founded in 1977, and the Open Field Foundation, created in 1996 to purchase Bramble Hill Farm. He created the Foundation's mission statement, and with architect Tris Metcalfe and a number of skilled craftsmen he has overseen the restoration of the “old” farm buildings, and the creation of a series of “unique” “new” Farm structures which provide the core infrastructure for the developing farm programs. Hans started working on a neighbor's farm in southern Germany at age eight and he has had his hands in various types of soil ever since. After moving around on two continents he settled down in the valley in 1998 when he began work at Bramble Hill Farm. 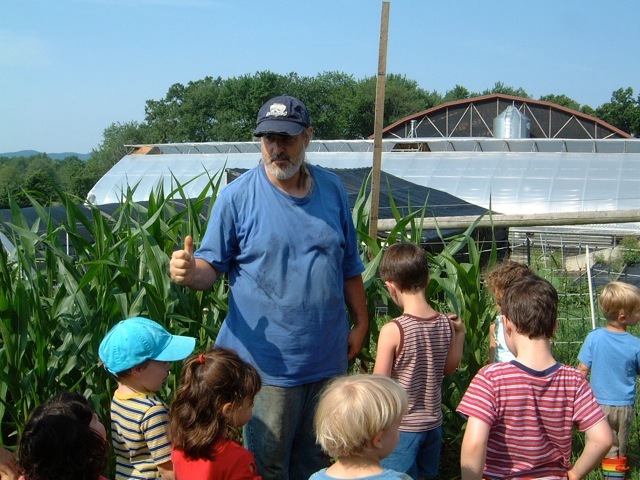 In 2003 he expanded his reach from not only tending to the needs of plants but also started nurturing eager young minds through Mr. McGregor's Children's Garden. In 2007 he was joined in his work by an expanding colony of bees. Nicole schedules groups and classes at the farm. She is also a member of the Larch Hill Collaborative which works along side The Hitchcock Center and The Common School in creating educational events that promote it's mission of sustainability of the land. In addition, she has helped with the After School group and has taught pottery to children. She also teaches Pilates and is a potter whose work can be found in shops around the Valley. 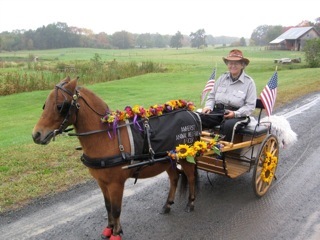 Carol Hepburn works full time as the Town of Amherst Animal Well Fare Officer. She lives at the Farm, and helps to maintain the common areas and gardens, as well as keeping fence lines cleared and the lawns mowed. Carol also manages the evolving “herd” of farm animals, enjoyed by visitors and school groups. Lisa Thompson is the Associate Director of A.P.E. She was previously a member of Dance Gallery, a resident dance company at A.P.E. from 1977 to 1990. After leaving the Pioneer Valley for 18 years, she returned in 1996 to help direct A.P.E. 's programs. She manages all of A.P.E. 's fiscal projects and has been instrumental is the formation of the Northampton Community Arts Trust whose mission is to create and preserve affordable spaces for artists into the future. Lisa helps coordinates the events in the Blue Barn at Bramble Hill Farm.